Professor i politisk kommunikation. Lars Nord leder forskningscentret DEMICOM som bedriver forskning om demokrati och kommunikation i det digitala samhället. Under 2018 släpptes boken Svenska valrörelser : Väljare, medier och partier under 2000-talet om svenska valrörelser som beskriver utvecklingen av svenska valrörelser. Lars är en internationellt erkänd forskare inom politisk kommunikation och hans forskning om valrörelser och medier mycket omfattande och välkänd. Karlsson, M. , Clerwall, C. & Nord, L. (2018). The public doesn't miss the public : Views from the people: Why news by the people?. Journalism - Theory, Practice & Criticism, vol. 19: 5, ss. 577-594. 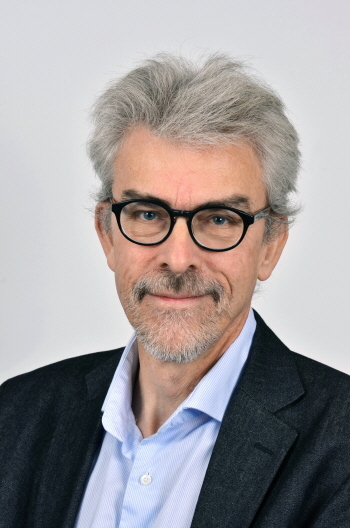 Johansson, C. & Nord, L. (2018). The Simple Truth: Ambiguity Works : Discursive Strategies by Swedish Public Authorities during the 2008 Financial Crisis. International Journal of Business Communication, vol. 55: 2, ss. 220-236. Karlsson, M. , Clerwall, C. & Nord, L. (2017). Do Not Stand Corrected : Transparency and Users’ Attitudes to Inaccurate News and Corrections in Online Journalism. Journalism & Mass Communication Quarterly, vol. 94: 1, ss. 148-167. Olsson, E. , Nord, L. & Falkheimer, J. (2015). Media Coverage Crisis Exploitation Characteristics : A Case Comparison Study. Journal of Public Relations Research, vol. 27: 2, ss. 158-174. Olsson, E. & Nord, L. (2015). Paving The Way for Crisis Exploitation : The Role of Journalistic Styles and Standards. Journalism - Theory, Practice & Criticism, vol. 16: 3, ss. 341-358. Shehata, A. , Hopmann, D. N. , Nord, L. & Jonas, H. (2015). Television Channel Content Profiles and Differential Knowledge Growth : A Test of The Inadvertent Learing Hypothesis Using Panel Data. Political Communication, vol. 32: 3, ss. 377-395. Nord, L. W. & Von Krogh, T. (2015). The freedom of the press or the fear factor? : Analysing political decisions and non-decisions in British media policy 1990-2012. OBS - Observatorio, vol. 9: 1, ss. 001-016. Arriaza Ibarra, K. & Nord, L. (2014). Public Service Media under Pressure : Comparing Government Policies in Spain and Sweden 2006-2012. Javnost - The Public, vol. 21: 1, ss. 71-84. Dimnitrova, D. , Shehata, A. , Strömbäck, J. & Nord, L. (2014). The Effects of Digital Media on Political Knowledge and Participation in Election Campaigns : Evidence from Panel Data. Communication Research, vol. 41: 1, ss. 95-118. Karlsson, M. , Clerwall, C. & Nord, L. (2014). You Ain’t Seen Nothing Yet : Transparency’s (Lack of) Effect on Source and Message Credibility. Journalism Studies, vol. 15: 5, ss. 668-678. Adam, S. , Maier, M. , De Vreese, C. H. , Schuck, A. R. , Stetka, V. , Jalali, C. , Seeber, G. U. , Negrine, R. & et al. (2013). Campaigning Against Europe? : The Role of Euroskeptic Fringe and Mainstream Parties in the 2009 European Parliament Election. Journal of Political Marketing, vol. 12: 1, ss. 77-99. Nord, L. & Olsson, E. (2013). Frame, Set, Match! : Towards a model of successful crisis rhetoric. Public Relations Inquiry, vol. 2: 1, ss. 79-94. Nord, L. (2013). Newspaper Competition and Content Diversity : A Comparison of Regional Media Markets in Sweden. Papeles de Europa, vol. 26: 1, ss. 1-13. Nord, L. & Arriaza Ibarra, K. (2013). Still Something Special? : A Comparative Study of Public Service Journalists' Values in Spain and Sweden. Journal of Applied Journalism and Media Studies, vol. 2: 1, ss. 161-179. Grusell, M. & Nord, L. (2012). Three Attitudes to 140 Characters : The Use and Views of Twitter in Political Party Communications in Sweden. Public Communication Review, vol. 2: 2, ss. 48-61. Nord, L. & Krogh, T. (2010). Between Public Responsibility and Public Relations : A Case Study of Editors' Attitudes Towards Media Accountability in Sweden. Communication, Culture & Critique, vol. 3: 2, ss. 190-206. Grusell, M. & Nord, L. (2010). More Cold Case Than Hot Spot : A Study of Public Opinion on Political Advertising in Swedish Television. Nordicom Review, vol. 31: 2, ss. 95-111. Roppen, J. , Lund, A. B. & Nord, L. (2010). Multimedia Development of PBS : A Challenge for the Nordic Media Systems. Central European Journal of Communication, vol. 3: 1, ss. 131-146. Nord, L. & Glowacki, M. (2010). Public Service Media in Central and Eastern Europe : Does the State Still Matter?. Central European Journal of Communication, vol. 3: 1, ss. 7-20. Nord, L. & Strömbäck, J. (2009). Marketing With a Feeling : The Brand New Party Junilistan in the Swedish European Parliamentary Election 2004. Journal of Political Marketing, vol. 8: 1, ss. 35-45. Nord, L. (2009). Political Communication in Sweden : Change, But Not Too Much. Central European Journal of Communication, vol. 2: 2(3), ss. 233-250. Nord, L. (2009). What is Public Service on the Internet? : Digital Challenges for Media Policy in Europe. OBS - Observatorio, vol. 3: 2, ss. 24-39. Nord, L. (2008). Comparing Media Systems : North Between West and East?. Central European Journal of Communication, vol. 1: 1, ss. 95-110. Nord, L. (2008). Swedish Media System Between Politics and Market. Informacijos Mokslai, vol. 47, ss. 10-21. Nord, L. W. (2007). Investigative Journalism in Sweden : A not so noticeable noble art. Journalism - Theory, Practice & Criticism, vol. 8: 5, ss. 517-521. Strömbäck, J. & Nord, L. (2006). Do Politicians Lead the Tango? : A Study of the Relationship Betwdeen Swedish Journalists and their Political Sources. European Journal of Communication, vol. 21: 2, ss. 147-164. Strömbäck, J. & Nord, L. (2006). Mismanagement, mistrust and missed opportunities: a study of the 2004 tsunami and Swedish political communication : Editorial. Media, Culture & Society, vol. 28: 5, ss. 789-800. Nord, L. & Strömbäck, J. (2006). Reporting More, Informing Less. : A Comparison of the Swedish media coverage of September 11 and the wars in Afghanistan and Iraq. Journalism - Theory, Practice & Criticism, vol. 7: 1, ss. 85-110. Nord, L. (2006). Still the Middle Way : A Study of Political Communication Practices in Swedish Election Campaigns. Harvard International Journal Of Press-Politics, vol. 11: 1, ss. 64-76. Nord, L. & Strömbäck, J. (2003). Making Sense of Different Types of Crises : A Study of the Swedish Media Coverage of the Terror Attacks against the United States and the U.S Attacks in Afghanistan. The Harvard International Journal of Press/Politics, vol. 8: 4, ss. 54-75. Nord, L. & Strömbäck, J. (2003). Mission Impossible? : Some Notes on Journalistic Shortcomings in the Coverage of War and Terrorism. Nordicom Review, vol. 24: 2, ss. 127-141. Nord, L. W. (2001). Americanization v. the middle way : New trends in Swedish political communication. Harvard Internation Journal of Press/Politics, vol. 6, ss. 113-119. Nord, L. (1999). Ibland behövs demokratiska forskningsperspektiv : En presentation av Demokratiinstitutet i Sundsvall. Nordicom Information, vol. 20: 4, ss. 81-84. Nord, L. (2013). Karusell, hörnor och kalabalik i public service tjänst. Svenska Dagbladet, vol. 10 nov: del 3, ss. 25-26. Nord, L. (2011). Authoritative governance : Policy-making in the age of mediatization. Acta Politica, vol. 46: 3, ss. 326-328. Nord, L. (2018). Fyra terrordåd i svensk press. I "Allt tyder på ett terrordåd" : Stockholmsattentatet 2017 i medier och opinion. Institutet för mediestudier. S. 123-139. Nord, L. , Grusell, M. , Bolin, N. & Falasca, K. (2018). Ingenting är längre som förut.... I Snabbtänkt : Reflektioner från valet 2018 av ledande forskare. Sundsvall : Mid Sweden University, DEMICOM. S. 10-12. Nord, L. (2017). Byt mångfald mot kvalitetsmål. I Skampåle : Tio essäer om mediedrev. Stockholm : Timbro. S. 157-176. Nord, L. (2017). Droppen urholkar stenen : En studie av miljöfrågans framväxt i svensk politik. I När skiftet äger rum : Vad händer när den politiska dagordningen ändras?. Stockholm : Tankesmedjan Tiden. S. 67-106. Strömbäck, J. & Nord, L. (2016). Samma politiska nyheter, men lite mer privat. I Journalistik i förändring : Om Mediestudiers innehållsanalys 2007 och 2014. Stockholm : Institutet för mediestudier. S. 69-83. Nord, L. (2016). Sida vid sida – men i samma båt? : Allmänfinansierade och kommersiella medier. I Människorna, medierna & marknaden : Medieutredningens forskningsantologi om en demokrati i förändring. Stockholm : Wolters Kluwer (Statens offentliga utredningar). S. 237-260. Nord, L. (2015). Journalistiska drev och skandaljournalistik. I Handbok i journalistikforskning. Studentlitteratur AB. S. 319-334. Nord, L. (2015). Massmedieforskning möter mediepolitik. I Massmedieproblem : Mediestudiets formering. Lund : Mediehistoriskt Arkiv (Mediehistoriskt arkiv). S. 375-396. Nord, L. & Olsson, E. (2015). Mediernas roller i kriser. I Perspektiv på krishantering. Lund : Studentlitteratur AB. S. 145-170. Nord, L. (2015). Partierna inför väljarna : Valkampanjer. I Partier och partisystem. Lund : Studentlitteratur AB. S. 165-178. Nord, L. (2015). Svenskt perspektiv: "It's the periphery, stupid!". I Makt, medier og politik : Norsk politisk kommunikasjon. Oslo : Universitetsforlaget. S. 271-278. Nord, L. (2015). Why Is Public Service Media Content As It Is? : A Comparison of Principles and Practices in Six EU Countries. I Public Service Media in Europe : A Comparative Approach. Taylor & Francis Group. S. 170-188. Nord, L. & Strömbäck, J. (2014). It Didn’t Happen Here : Commercialization and Political News Coverage in Swedish Television 1998-2010. I Comparing Political Communication Across Time and Space : New Studies in an Emerging Field. Basingstoke : Palgrave Macmillan. S. 192-209. Nord, L. (2013). Jakten på den perfekta kampanjen : Professionaliseringen av de svcenska partierna. I Kampen om opinionen : Politisk kommunikaiotn under svenska valrörelser. Stockholm : SNS förlag. S. 35-63. Nord, L. (2013). Nordic Media Systems 1850-1950 : Myths, Mixtures and Metamorphoses. I Communicating the North : Media Structures and Images in the Making of the Nordic Region. Farnham : Ashgate. S. 25-46. Nord, L. (2013). Ny politisk journalistik i den digitala världen?. I På väg mot medievärlden 2020 : Journalistik. teknik, marknad. Lund : Studentlitteratur. S. 203-224. Nord, L. (2013). Strategi, syntes och struktur : Vägar till framtida valframgångar. I Kampen om opinionen : Politisk kommunikation under svenska valrörelser. Stockholm : SNS förlag. S. 299-321. Falasca, K. & Nord, L. (2013). Structures, Strategies and Spin : Government Communication in Sweden. I Government Communication : Cases and Challenges. Bloomsbury Academic. S. 27-44. Nord, L. & Strömbäck, J. (2012). Demokrati, medier och journalistik. I Medierna och demokratin. Lund : Studentlitteratur. S. 9-45. Nord, L. (2012). Det nationella mediesystemen. I Medierna och demokratin. Studentlitteratur. S. 67-92. Nord, L. (2012). Det norrländska medielandskapet. I Ett delat Norrland : På väg mot regioner?. Umeå : Umeå Universitet. S. 115-126. Nord, L. (2012). Kungamakare eller bråkmakare? : Mediebevakningen av Miljöpartiet 1988 och Sverigedemokraterna 2010. I Tungan på vågen : Vågmästare och balanspartier. RJ:s årsbok 2012/13. Makadam Förlag. S. 59-82. Nord, L. (2012). Losing the Battle. Winning the War : Public Service Media Debate in Scandinavia 2000-2010. I Regaining the Inititative for Puboic Service Media. Nordicom. S. 45-62. Nord, L. , Enli, G. & Stúr, E. (2012). Pundits and Political Scandals : A Study of Political Commentators in Norway and Sweden. I Scandalous! : The Mediated Construction of Political Scandals in Four Nordic Countries. Nordicom. S. 87-102. Strömbäck, J. , Nord, L. & Shehata, A. (2012). Swedish Journalists : Between Professionalization and Commercialization. I The Global Journalist in the 21st Century. New York : Routledge. S. 306-319. Nord, L. (2012). Why Did It Take So Long? : The Breakthrough of Political TV Ads: Finland Eighteen Years Ahead of Sweden. I Comparisons, Regimes, Elections : Festschrift for Lauri Karvonen. Åbo : Åbo Akademis Förlag. S. 61-75. Moring, T. , Mykkänen, J. , Nord, L. & Grusell, M. (2011). Campaign professionalization and political structures : A comparative study of election campaigning in Finland and Sweden in the 2009 EP elections. I Political Communication in European Parliamentary Elections. Ashgate. S. 45-59. Nord, L. , Nieminen, H. & Trappel, J. (2011). Democratic Functions under Pressure : Conclusions. I The Media Democracy Monitor : A Cross National Study of Leading News Media. Gothenburg : Nordicom. S. 347-364. Nord, L. & von Krogh, T. (2011). Sweden: A mixed media model under market pressure. I The Media for Democracy Monitor : A Cross National Study of Leading News Media. Gothenburg : Nordicom. S. 265-288. Nord, L. & Stúr, E. (2010). När kärnavfall blev politik : En studie av debatten kring valet 1976. I Samhällsforskning 2010 : Betydelsen för människorna, hembygden och regionen av ett slutförvar för använt kärnbränsle. Svensk Kärnbränslehantering. S. 20-49. Nord, L. & Grusell, M. (2010). Vår hatkärlek till tv-reklam. I Älskade, hatade : 14 röster om TV. Stockholm : TV4-Gruppen. S. 55-68. Nord, L. (2009). En lokal valrörelse på partiernas villkor. I Väljarna, partierna och medierna : En studie av politisk kommunikation i valrörelsen 2006. Stockholm : SNS förlag. S. 168-195. Nord, L. & Stúr, E. (2009). Från folkomröstning till slutförvaring : En studie av kärnavfallsdebattens arenor, aktörer och agendor. I Samhällsforskning 2008 : Betydelsen för människorna, hembygden och regionen av ett slutförvar för använt kärnbränsle. Stockholm : Svensk kärnbränslehantering AB (Samhällsforskning). S. 53-70. Nord, L. & Kivikuru, U. (2009). Introduction. I After The Tsunami : Crisis Communication in Finland and Sweden. Gothenburg : Nordicom. S. 9-16. Nord, L. (2009). Valrörelsen 2010 : Den första nya, den sista gamla eller en i raden nygamla?. I Väljarna, partierna och medierna : En studie av politisk kommunikation i valrörelsen 2006. Stockholm : SNS förlag. S. 327-351. Nord, L. & Strömbäck, J. (2009). When a Natural Disaster Becomes a Political Crisis. A Study of the 2004 Tsunami and Swedish Political Communication. I After the Tsunami - Crisis Communication in Finland and Sweden / ed. lars Nord and Ullamaija Kivikuru. Göteborg : Nordicom. Strömbäck, J. & Nord, L. W. (2008). Media and Politics in Sweden. I Communicating Politics : Political Communication in the Nordic Countries. Göteborg : Nordicom. S. 103-121. Nord, L. (2008). Nya medier! Ny publik! Ny journalistik?. I På väg mot medievärlden 202 : Journalistik, teknik, marknad. Lund : Studentlitteratur. S. 229-252. Nord, L. (2008). Politcal Commentary. I Encyclopeda of Politcal Communication. Los Angeles : Sage Publications. S. 117-119. Strömbäck, J. & Nord, L. (2008). Still a Second-Order Election: Comparing Swedish Media Coverage of the 2004 European Parliamentary Election and the 2002 National Election. I The EU expansion : Communicating Shared Sovereignty in the Parliamentary Elections. New York : Peter Lang Publishing Group (Frontiers in political communication). S. 137-152. Nord, L. W. (2007). The Swedish model becomes less Swedish. I The Professionalization of Political Communication. Chicago : Chicago Univ. Press, distrib. for Intellect Ltd (Intellect Books - Changing Media, Changing Europé). Nord, L. & Strömbäck, J. (2006). Game is the name of the Frame : European Parliamentary Elections in Swedish Media. I Campaigning in Europe - campaigning for Europe / Michaela Maier, Jens Tenscher (eds). Berlin : LIT Verlag. S. 191-206. Nord, L. (2006). Svenska mediers bevakning av Irakkriget 2003. I Krigen i medierne, medierne i krig. Frederiksberg : Samfundslitteratur. S. 211-241. Nord, L. (2005). Den politiska journalistikens uppgång och fall. I På väg mot medievärlden 2020 : journalistik, teknik, marknad. Lund : Studentlitteratur. S. 334-. Nord, L. (2004). En massa medier med mindre publik. I Medierna och demokratin. Lund : Studentlitteratur. S. 439-. Strömbäck, J. & Nord, L. (2004). Ett rungande nej - men till vad?. I Ju mer vi är tillsammans : tjugosju kapitel om politik, medier och samhälle : SOM-undersökningen 2003. Göteborg : SOM-institutet (SOM-rapport). S. 143-155. Nord, L. & Strömbäck, J. (2004). Journalistik, medier och demokrati. I Medierna och demokratin. Lund : Studentlitteratur. S. 11-46. Nord, L. (2001). The EU Election Campaign in Sweden 1999. I Europe, the Euro and the War. Rome : RAI Publishing Company. S. 259-285. Ljungberg, E. & Nord, L. (2000). Inget politiskt nytt med Internet. I Nygamla opinioner. Sundsvall : Demokratiinstitutet (Mitt i opinionen). Nord, L. (1996). Local Radio in Sweden : The Transition from Paternalism to Populism. I Conditions and Perspectives of Public and Commercial Broadcasting. Kantyki, Jan & Jachimowskiego, Marek eds. Katowice : University of Silesia. S. 142-151. Nord, L. (2015). Coming in From The Cold? : The Sweden Democrats' Campaign Communications in 2010 and 2014. I New Populisms' Political Communication. Shehata, A. , Hopmann, D. N. & Nord, L. (2012). The Influence of Television News on Political Learning: How European Public Service Broadcasting Still Captures Inadvertent Audiences. Paper presented at the European Communication Research and Education Association (ECREA) conference, Istanbul 2012. Shehata, A. & Nord, L. (2012). What is Public Good in Public Television? : A Cross-National Analysis of Public Broadcasting Characteristics and Television News Consumption in 16 European Countries. Paper presented at the ECPR Joint Sessions of Workshops, Antwerp 2012. Shehata, A. & Nord, L. (2010). Minding the Gap : A Comparative Study of News Media Use and Political Participation in Europe. I European Communication Research and Education Association (ECREA) conference, Hamburg 2010..
Nord, L. (2009). From Making News to Breaking News : Challenges for Swedish Professional Journalism in New Media Environments. Nord, L. & Arriaza Ibarra, K. (2008). Digital Divide Dynamics : An Explorative Study of the Internet in Spain and Sweden 1996-2006. Nord, L. & von Krogh, T. (2008). Media Governance from a Journalistic Perspective. von Krogh, T. & Nord, L. W. (2008). Media Governance from a Journalistic Perspective : A Case Study of Editors’ Attitudes Towards Media Accountability in Sweden. I International Association for Media and Communication Research (IAMCR) 26 th Annual Research Conference, July 20-25, 2008, Stockholm : Panel: Media Governance – A New Concept for the Analysis of Changing Media Policy? . Nord, L. (2008). More Channels! More of the Same? : Public Television in Spain and Sweden Facing Digitalization and Deregulation. Nord, L. & Arriaza Ibarra, K. (2008). The North, the South and the Market. : A Comparative Study of Public Broadcasting in Span and Sweden 1995-2006. Holmberg, S. & Nord, L. (2008). The Volatile Electorate: : Party selectors on the Internet. I International Communications Association (ICA) : Annual Conference, Montreal, Canada. Nord, L. (2008). What is Public Service on the Internet? : Digital Challenges for Media Policy in Europe. Nord, L. (2007). Comparing Nordic Media Systems. Nord, L. (2007). Comparing Nordic Media Systems : is the north going west?. I Proceedings from the annual meeting of the International Communication Association, TBA, San Francisco, CA, May 23, 2007..
Holmberg, S. & Nord, L. (2007). Pick and Choose Democracy : Party Selectors on the Internet during the 2006 Swedish National Elections. I British Political Studies Association (BPSA) : Conference on Political Marketing, London. Nord, L. (2007). The North Between East and West : Internationellt konferensbidrag med refereeförfarande. Nord, L. (2007). Vad ska public service göra på nätet? : Nordiska mediekonferensen. Nord, L. (2006). Between News and Views : International Communication Association. Lund, A. , Nord, L. & Roppen, J. (2006). Challenges to Scandinavian Public Service Broadcasting in Multimedia Markets : RIPE Public Service Broadcasting Conference. Nord, L. & Strömbäck, J. (2006). Political Marketing in a Multiparty System : Paper accepted for the 3rd International Political Marketing Conference, Nicosia, 2006. Nord, L. (2006). Watching the Watchdogs : International Communication Association. Nord, L. , Strömbäck, J. , Grandien, C. & Ottestig, A. T. (2006). When A Natural Disaster Becomes a Political Crisis. A Swedish Case Study. : Paper presented at the annual meeting of the International Communication Association, Dresden International Congress Centre, Dresden, Germany, Jun 16, 2006. Nord, L. (2005). From Observer to Oracle - the rise of Interpretative Journalism in the New Media Environment : Paper presented at Highway Africa Conference, Grahamstown. Strömbäck, J. & Nord, L. (2005). Political Marketing: The Road to Electoral Success or to Electoral Backlash?. I PSA Political Marketing Group Conference : Political Marketing and the UK Election: Reaching the Political Consumer.. S. 1--27. Strömbäck, J. & Nord, L. (2005). The Thrill is Gone : A Comparison of Swedish EU Elections in the Media. I Paper presented at the annual meeting of the International Communication Association, Sheraton New York, New York City, NY,. Strömbäck, J. & Nord, L. (2005). Who Leads the Tango? : A Study of the Relationship Between Swedish Journalists and their Political Sources. Paper presented at the annual meeting of the International Communication Association, Sheraton New York, New York City, NY. Nord, L. (2004). Press for Democracy? - Some Notes About Newspaper Competition and New Quality in Sweden : Paper presented at the International Communication Association 54th Annual Conference, New Orleans, 2004. Strömbäck, J. & Nord, L. (2004). Reporting More When Knowing Less : A Comparison of the Swedish Media Coverage of September 11 and the Wars in Afghanistan and Iraq. I International Communication Association‘s Annual Conference.. S. 1--25. Nord, L. (1999). Partipressens död? : Paper presented at 15. Nordiska Medieforskarkonferensen, Kungälv, 1999. Johansson, C. (ed.) & Nord, L. (ed.) (2006). Makten över kommunikationen : Communiqué 2006. Sundsvall : Mittuniversitetet (Communiqué (Mittuniversitetet) ). Nord, L. , Färm, K. & Jendel, L. (2018). Fyra terrordåd, fyra mediebilder : En studie av svenska mediers bevakning av attackerna i Paris och Köpenhamn 2015 samt i Stockholm 2017. (DEMICOM rapport 37). Strömbäck, J. & Nord, L. (2017). Mest spelgestaltningar och strukturell partiskhet : En analys av svensk valrörelsejournalistik 2002–2014. Sundsvall : Mid Sweden University Demicom (DEMICOM rapport 33). Nord, L. , Mancini, P. & Gerli, M. (2017). The exceptional election : Press coverage of Clinton and Trump in Italy, Sweden and the UK. Sundsvall : (DEMICOM rapport 35). Färm, K. , Bystedt, A. , Nyström, K. & Nord, L. (2016). "Det brinner överallt!" : Medierapporteringen av skogsbranden i Västmanland 2014. Sundsvall : Mittuniversitetet (DEMICOM rapport 29). Nord, L. , Färm, K. & Jendel, L. (2016). Skolattacken i Trollhättan : En kriskommunikativ studie av myndigheter och medier. (DEMICOM rapport 31). Färm, K. , Jendel, L. , Nord, L. , Eriksson, M. & Olsson, E. (2015). En stormig höst : Studier av mediebilder och kriskommunikation. Sundsvall : Mittuniversitetet (DEMICOM rapport 28). Nord, L. & Jalakas, A. (2015). Folkinitiativ och medielogik : En studie av mediebevakningen av lokala folkomröstningar i fyra kommunala valrörelser. (DEMICOM rapport 26). Grusell, M. & Nord, L. (2015). Vinnande kampanjer, förlorade val : Partiernas politiska kommunikation i valrörelsen 2014. Sundsvall : (DEMICOM rapport 27). Nord, L. , Färm, K. , Jendel, L. & Olsson, E. (2014). Efter Husbykravallerna : En studie av mediebilder och krisommunikation. (DEMICOM rapport 18). Nord, L. & Shehata, A. (2013). Finanskrisen, förväntningarna och förtroendet. (DEMICOM rapport 11). Nord, L. , Jendel, L. & Färm, K. (2012). Bilden av finanskrisen : En studie av svenska mediers nyhetsrapportering hösten 2008. Sundsvall : (DEMICOM rapport 9). Jendel, L. & Nord, L. (2012). Från dörrknackning till gröna pajasnäsor : En studie av riksdagspartiernas särskilda medel inför valet 2010. Sundsvall : Mittuniversitetet (DEMICOM rapport 6). Nord, L. , Holmgren, M. , Hillerström Miksche, H. , Jakobsson, L. & Kämpe, K. (2012). Nya villkor för public service : Betänkande av public service-utredningen. Stockholm : Fritzes (Statens offentliga utredningar 2012:59 ). Johansson, C. & Nord, L. (2011). Konsten att kommunicera oro utan att oroa : Svenska myndigheter under finanskrisen 2008. Sundsvall : Mittuniversitetet. Demicom. (DEMICOM rapport 1). Nord, L. & Grusell, M. (2009). Syftet är alltid att få spinn : De politiska partiernas strategiska kommunikation inför EU-parlamentsvalet 2009. Sundsvall : Mittuniverstietet Demokratiinstitutet (Studier i politisk kommunikation 23). Nord, L. (2008). Hotfulla Nyheter : Att analysera redaktionella processer och publiceringar. Sundsvall : Demokratiinstitutet (Studier i politisk kommunikation 21). Nord, L. , Shehata, A. & Strömbäck, J. (2006). Metodfrågor kring studier av medieeffekter och medborgaropinion. Grandien, C. , Nord, L. & Strömbäck, J. (2005). Efter flodvågskatastrofen. : Svenska folkets åsikter om och förtroende för myndigheter, medier och politiker. Stockholm : Krisberedskapsmyndigheten (KBM:s temaserie 2005:4). Nord, L. & Strömbäck, J. (2005). Hot på agendan : En analys av nyhetsförmedling vid risker och kriser. Stockholm : Krisberedskapsmyndigheten (KBM:s temaserie 2005:7). Nord, L. (2004). Alla tycker om granskning. Sundsvall : Demokratiinstitutet (Studier i politisk kommunikation 9). Nord, L. (2004). Hur professionella är de svenska partierna?. Sundsvall : Demokratiinstitutet (Studier i politisk kommunikation 5). Nord, L. , Shehata, A. & Strömbäck, J. (2003). Från osäker källa : bevakningen av Irakkriget i svenska medier. Krisberedskapsmyndigheten (KBM:s temaserie 2003:4). Nord, L. & Strömbäck, J. (2002). Tio dagar som skakade världen : En studie av mediernas beskrivningar av terrorattackerna mot USA och kriget i Afghanistan hösten 2001. Stockholm : Styrelsen för psykologiskt försvar (Rapport / Styrelsen för psykologiskt försvar 186). Strömbäck, J. , Nord, L. , Ljungberg, E. & Norling, A. (2000). Mediernas roller i demokratin. Stockholm : Stiftelsen institutet för mediestudier (Rapport / Stiftelsen Institutet för mediestudier 1). Nord, L. (1998). Makten bakom orden : en studie av ledarsidor och ledarskrivande i svensk dagspress. Sundsvall : Mitthögskolan (Rapport / Mitthögskolan 1998:7). Nord, L. (ed.) , Trappel, J. (ed.) & Nieminen, H. (ed.) (2011). The Media for Democracy Monitor : A Cross National Study of Leading News Media. Gothenburg : Nordicom (Research Anthologies and Monographs ). Bolin, N. , Falasca, K. , Grusell, M. & Nord, L. (2018). De partier som tänker nytt kommer att vinna valet 2022 (DN debatt). Pollack, E. , Nord, L. & Allern, S. (2016). "Naivt tro att marknaden räddar journalistiken" : Debattartikel i SVenska Dagbladet 2016-04-24. Nord, L. & Grusell, M. (2015). Valkampanjer missar mål, trots mer pengar än tidigare (DN Debatt). Nord, L. (2015). "Vi kan inte lita på maskinernas statistik". Nord, L. (2014). Många myter om mediebilden av Husby.